Right now you can get this 48 pack of SuperChalks Premium Chalkboard Labels for ONLY $6.95 (Retail $19.95)! -Super simple stylish labels – just peel, stick and write and you're ready to go! -Endlessly reusable. Need to change the label? Easy! Simply wipe with a damp cloth and re-write. -Any chalk will do. You can write on these labels with regular chalk or liquid chalk markers! 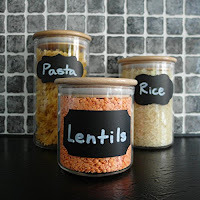 -Organize and personalize any space with these simple to use reusable labels. Shipping is free with Amazon Prime or your $35 purchase. Here's a hot deal you can grab this week at Target with this weeks Buy 1 Get 1 50% off Cereal and Granola sale. You can also submit the $0.75 cash back Cookie Crisp offer from SavingStar and bring the price down to just $0.81 EACH!! WOW! This would make a great gift for a recent graduate venturing out on there own! 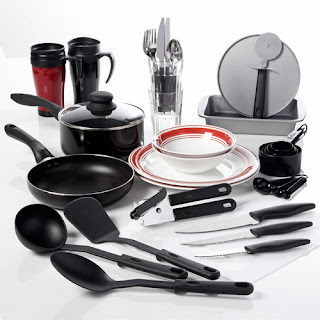 Today ONLY this Gibson Home Complete Kitchen 38-Piece Combo Set is only $39.97 - and pretty much covers what you need in your kitchen! 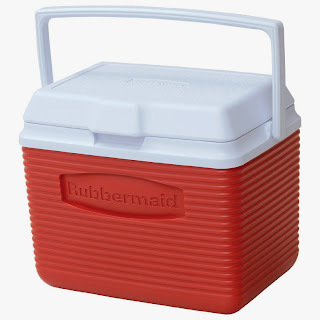 Right now you can get this Rubbermaid 10-Quart Personal Ice Chest Cooler, Red for ONLY $9.97 (Retail $30.99)! Right now you can take an Extra 70% Or More Off Invicta Watches which is perfect since my hubby loves collecting watches. 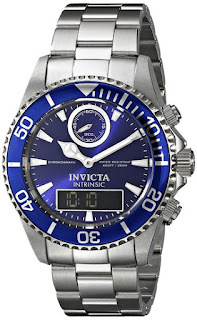 Mine already has the Invicta Pro Diver Analog Display Swiss Quartz Watch for $89.99 (Retail $1195) - but I just grabbed the Invicta Men's Pro Diver Analog-Digital Display Swiss Quartz Silver Watch for $63.99 (Retail $1295). Head over and browse around for your favorite! 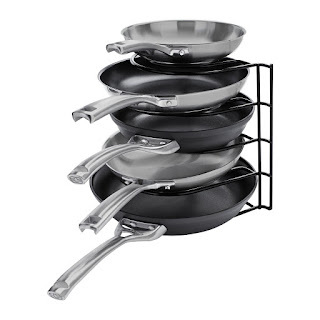 Here's another hot deal you can grab at Target this week. Final Price: $3.00 for 5 bottles or $0.60 Each! *All 2-liter bottles are 5/$5 this week or $1.25 each! New Coupons - Keebler, OxiClean, Glade & More! Hurry over to print or download these new &amp; reset coupons before they reach their print limits! Below are direct links so you can easily print or download your favorites. Check out Favado (here) - a Grocery App Coupon Match Up, plus the top deals and best deals around town! If your looking for a place to grab coupons &amp; inserts - check out Capri's Coupons or Coupon Dede's for a full list of coupons available at your finger tips!download your favorites. Sports mom must have!!! Right now get this Sport-Brella Umbrella - Portable Sun and Weather Shelter for only $35.99 Shipped (Retail $59.99)! 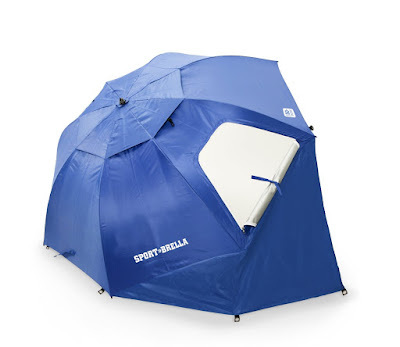 I've had one of these for 4 years and LOVE IT - use it at the ball fields for rain and sun weekly! 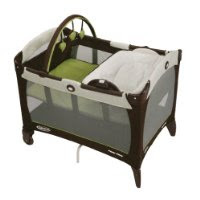 I am loving this Graco Pack 'n Play Playard with Reversible Napper and Changer in Go Green for only $59 Shipped (Retail $99). Hurry offers valid 5/31 only and while supplies last! Get a FREE Collapsible Trunk Organizer, just pay s&amp;h of $5.49. Durable 3 section trunk organizer. Great for keeping sports gear,cleaning supplies &amp; organizing groceries. *This deal usually sells out so hurry over to get yours. Give dad a cool Grilling Apron for Fathers Day and Save 30% and get Free Shipping with code BBQ30FREE at checkout. 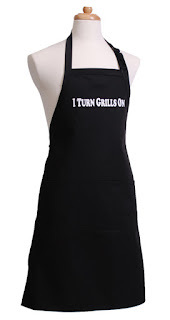 For example this Men's I Turn Grill On Apron is $20.96 (Retail $29.95). Head over and browse around the perfect apron for your dad! I love this sale! 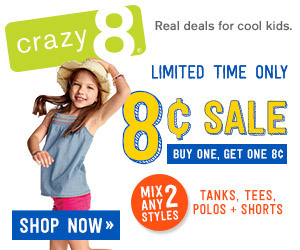 Right now at Crazy 8 when you buy any Tank, Tee, Polo, or Shorts, you can score another item for just 8¢! Plus, if you currently have a subscription to Disney's Family Fun Magazine and/or Parenting Magazine, be sure to check it for a 20% off Crazy 8 coupon codes inside. While you're there you'll also want to check out the Markdownsstarting at just $2.99! Shipping is a flat rate of $5 or free on an order of $75. You won't wanna miss this! Gymboree is offering TONS of items starting at only $5! I love this Wish on a Starfish Tank on sale for $5 (Retail $19.95)! Don't forget to think about even looking at the long sleeve shirts and jackets that are deeply discounted and pick some up for next year! You'll also find up to 70% off Markdowns with prices starting at just $2.09! *Sizes are selling out quickly so hurry over for the best deals. Shipping is free on purchases of $75+.